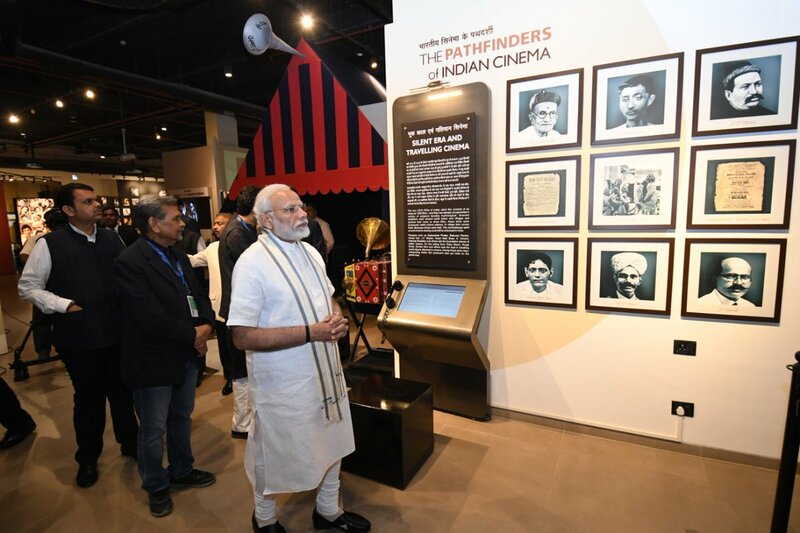 Prime Minister Narendra Modi has inaugurated the National Museum of Indian Cinema (NMIC) at Films Division of India premises in Mumbai. The National Museum of Indian Cinema (NMIC) aims to conserve the film heritage of India. NMIC is housed in two buildings, the New Museum Building and the 19th-century historic palace Gulshan Mahal- in the Films Division campus in Mumbai. The museum provides a glimpse of the evolution of Indian cinema in a storytelling mode with the help of visuals, graphics, artifacts, interactive exhibits, and multimedia expositions. Posters have been on display at NMIC to map the journey of Indian cinema over the last century. The museum also hosts scenes from landmark films like Dadasaheb Phalke's Raja Harishchandra and Kaliya Mardan, replicas of old cameras and long-missing shooting equipment, and rare photographs. The verandah of Gulshan Mahal takes visitors through the multiple eras of Hindi and regional cinema, with the showcasing of posters, booklets, lobby cards and other exhibits. The Museum was refurbished by Navratna public sector undertaking NBCC (India) Limited under the guidance of the Museum Advisory Committee headed by Shyam Benegal, and an innovation committee headed by Prasoon Joshi. Q. Where has Prime Minister Narendra Modi inaugurated the National Museum of Indian Cinema (NMIC)?